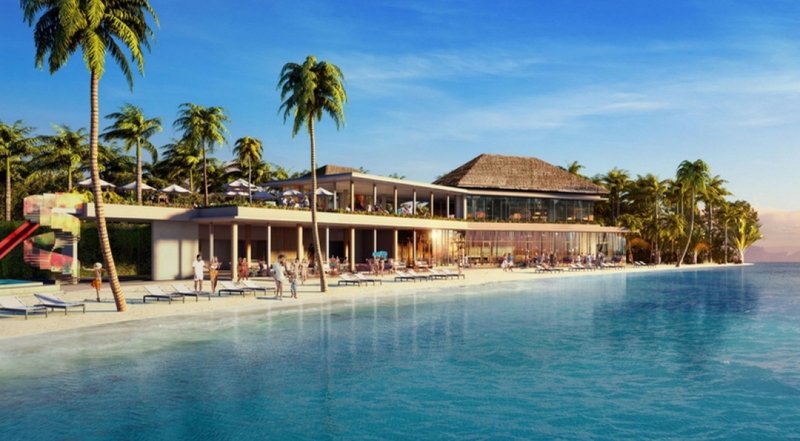 At the heart of the Crossroads Maldives – the first integrated resort destination in the Maldives; Hard Rock Hotel is just a 15 minute boat ride away from the airport. 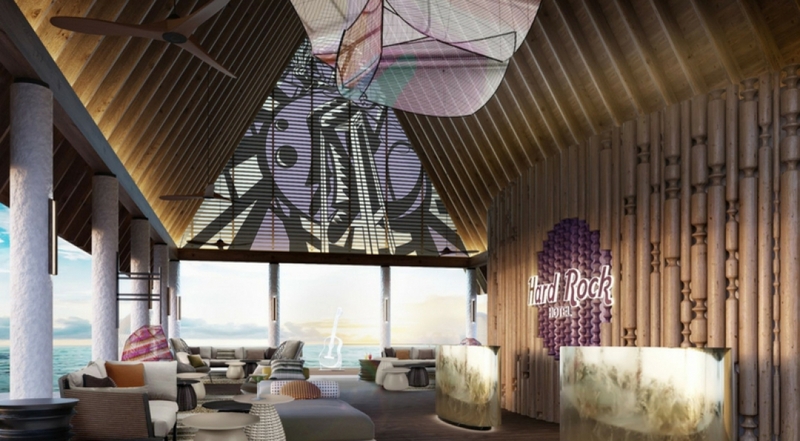 Hard Rock Hotel Maldives is the house to 178 generously spacious guest rooms, family suites, beach villa and one and two bedroom over water villas. 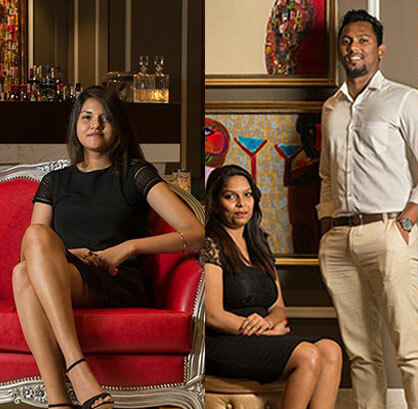 Known for its affiliation for the pop and rock culture Hard Rock Maldives is the newest promise of your chance to explore the Maldives like a rockstar. 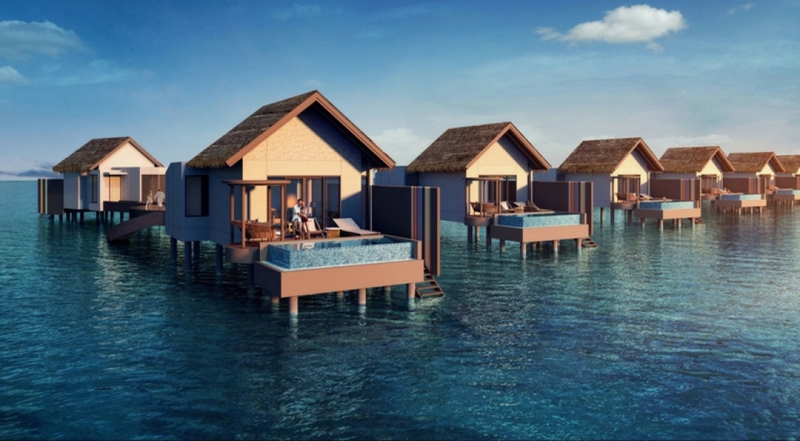 Inspired by the Maldivian culture, rustic architecture and the Asian inspired music memorabilia. 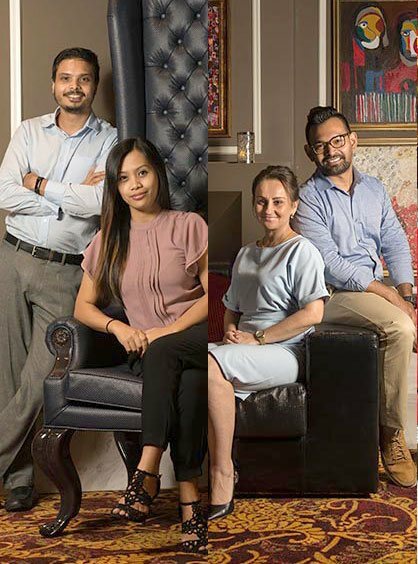 You are guaranteed the signature brand offerings including The Sound of Your Stay Music Program, Rock Spa, Rock Shop, Roxity Kids Club and Teen Spirit Club. The wine and dine options are world-class with a delectable choice or you can simply stick to the all time favorite Hard Rock Café. The hotel is set to open in the 1st quarter of 2019. Await the legendary Hard Rock Hotel Maldives.